Russian jets have intensified bombing of ISIS positions around the city of Deir ez-Zor as the Syrian Army pushes to break through the encirclement. Once the blockade is lifted, the terrorists’ strategic defeat in Syria will be sealed, Moscow says. Islamic State (IS, formerly ISIS/ISIL) controls the rural areas of the Deir ez-Zor governorate, while the provincial capital remains under control of government troops. 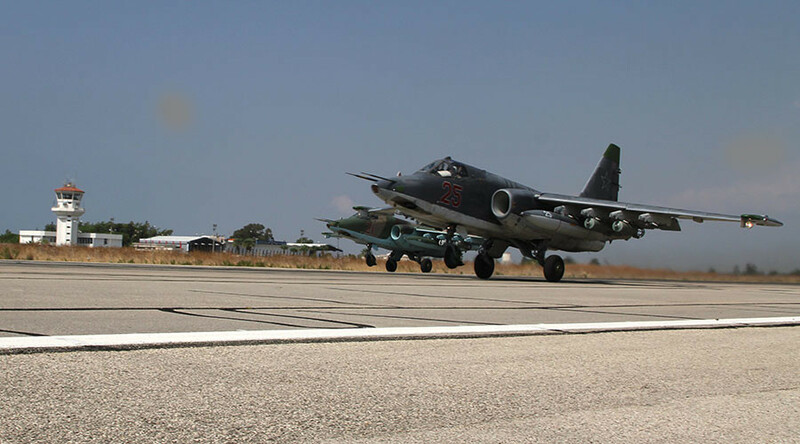 The Syrian Army, backed by the Russian Air Force, is ramping up pressure on the jihadists to drive them out of the city. “ISIL militants are still attempting to stop the advancement of the Syrian troops by relocating to the Deir ez-Zor region armor, pick-up trucks with high-caliber machine guns mounted on them, weapons and ammunition. They create fortifications with positions for artillery and mortars,” the Russian Defense Ministry reported on Saturday. 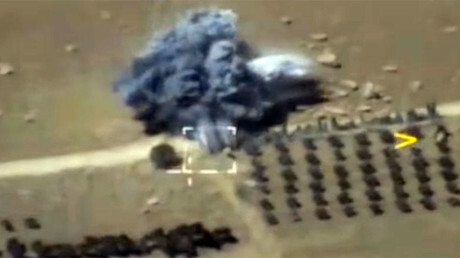 The ministry said in response the Russian forces in Syria have intensified airstrikes on the jihadists. Over the past 24 hours, Russian warplanes have destroyed nine armored vehicles, including two tanks, six artillery positions, one home-made multiple rocket launcher, three supply depots, and over 20 supply truck carrying fuel, weapons and ammunition, the statement said. “Defeating ISIL in the Deir ez-Zor region and deblockading the city will signify a strategic defeat of the international terrorist group in Syria,” the ministry said. Earlier on Friday, UN special envoy for Syria Staffan de Mistura said he expected the remaining IS strongholds to fall within two months, potentially leading to an election next year. “What we are seeing is in my opinion the beginning of the end of this war… what we need to make sure is that this becomes also the beginning of peace. And that is where the challenge starts at this very moment,” the diplomat told BBC radio. De Mistura expects the Deir ez-Zor blockade to be lifted by the end of September or in early October. Raqqa, Islamic State’s self-proclaimed capital in Syria, is expected to be taken by the US coalition-backed, Kurd-dominated Syrian Democratic Forces by the end of October. The UN envoy warned that the defeat of IS, a common enemy for all major players in Syria, must be followed by a nationwide peace deal, or otherwise the terrorist group will have an eventual resurgence. “We are getting close to some kind of understanding even among those who have been involved in the conflict that the priority is to close it. What we need to do is wrap it up in a way that is stabilized, not just close the conflict,” de Mistura said. In late August, Russian Minister of Defense Sergey Shoigu said that the implementation of de-escalation zones in Syria and the separation of terrorists from the opposition have allowed the fight against terrorism to be intensified, effectively ending the civil war.